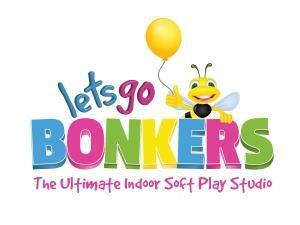 Lets Go Bonkers01621 782874work Children's Activity CentreLet’s Go Bonkers is East Essex’s most exciting and professionally designed premier indoor children’s soft play studio, featuring two uniquely designed multilevel play studios, which has something for everyone. BABY BONKERS is our specially designed play studio for the little ones, from birth to 3-years old. BIGGER BONKERS is for children between 3 and 12-years old and has been specifically designed to keep even the most demanding children entertained for hours. In our modern coffee lounge you can enjoy a cup of freshly ground cappuccino or latte, sample some of our delicious and nutritious freshly prepared meals and snacks. Mon, Tue, Wed 10:00 a.m. to 4:00 p.m.
Thu, Fri 10:00 a.m. to 6:00 p.m. Sat, Sun 10:00 a.m. to 4:00 p.m.